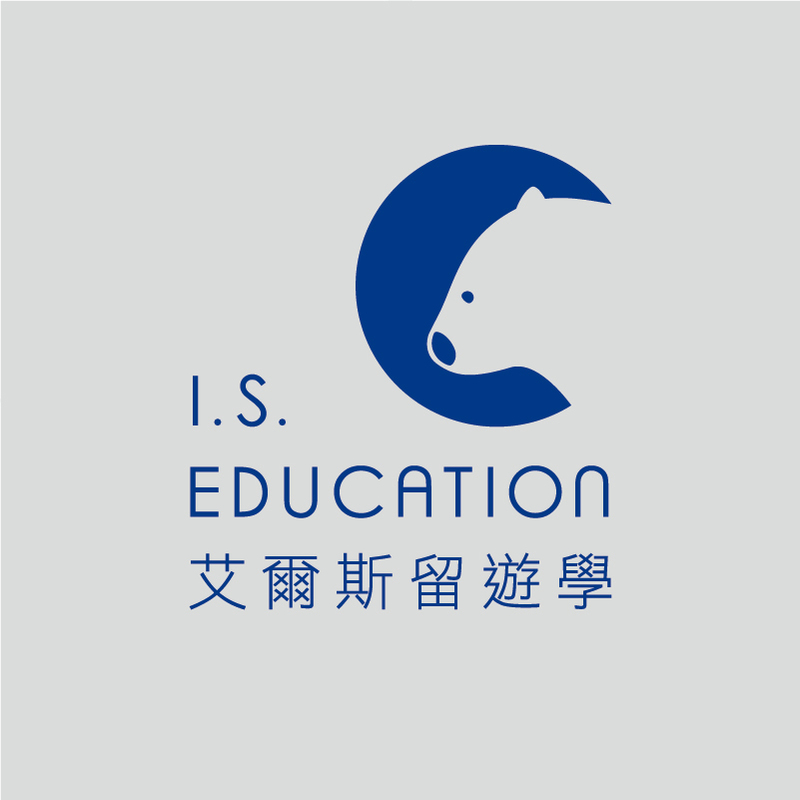 如要下載體檢表 請接著點選左下方 "Organise your health examinations"
步驟20. 若需要下載或列印簽證申請存底 請從步驟18的頁面點選上方 "View application"
請問一下，我無法申請體檢表，點去頁面只說"Your request cannot be processed at this time. Please try again later."嘗試了很多次，也換瀏覽器測試了，請問還有什麼辦法可以解決嗎? 你好,我是在第九的步驟出了問題,我勾選到The applicant does not agree to electronic communication,意思是通知的方式將會以郵寄的方式寄到住家地址來,我馬上發信至移民局請邱協助,回文告訴我可以在移民局網上進行更改,順便給了我連結的網址,點進去之後發現我有已經三個勾選的選項1.Change name details 2.Successful logon 3.Change password Cancel,請問我該如何處理?點選掉之後又該如何該改通知的方式? 您好，請問我按入體檢的地方他永遠顯示這樣，該如何處理，換過瀏覽器了，Your request cannot be processed at this time. Please try again later. 我的statue已經是Finalised 但沒有收到信，上網站去看View grant letter是This application has been granted.The grant letter for this application cannot be viewed at this time. Please refer to correspondence. This service is temporarily unavailable. Please try again later. 請問 417 Working Holiday前多個 " TZ " 是正確的嗎 是否有影響? 但是沒有收到信件，我想去view grant letter下載顯示 This application has been granted.The grant letter for this application cannot be viewed at this time.Please refer to correspondence. More information is required to consider your visa application. information required for each applicant. letter. You should provide your response in writing. Please send your response to me using the contact details provided below. to take longer than the period specified above to provide this information to us. (Temporary) (class TZ) Working Holiday (subclass 417) visa. your application may be decided based on the available information. do not send acknowledgement advices for the receipt of attachments. View application mailbox 裡面有2封信! 第一封是說IMMI對應用程序的確認! 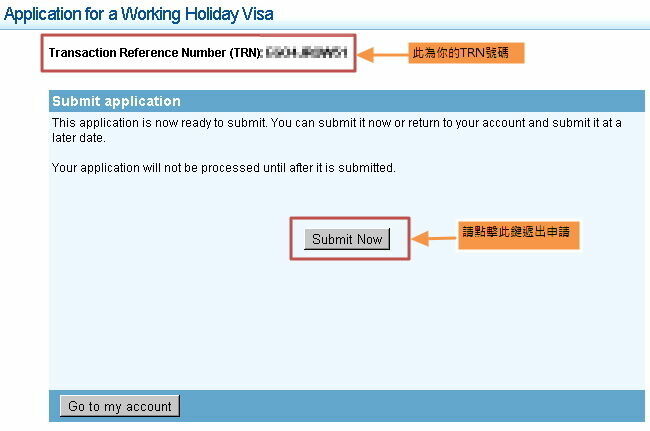 The following information is required to process your application for a Working Holiday (Temporary) (class TZ) Working Holiday (subclass 417) visa. If you do not provide the information sought within time, or the information is unsatisfactory, your application may be decided based on the available information. You should provide the requested information by attaching the document(s) to your application through ImmiAccount. This will ensure that the document(s) are attached immediately to your application. 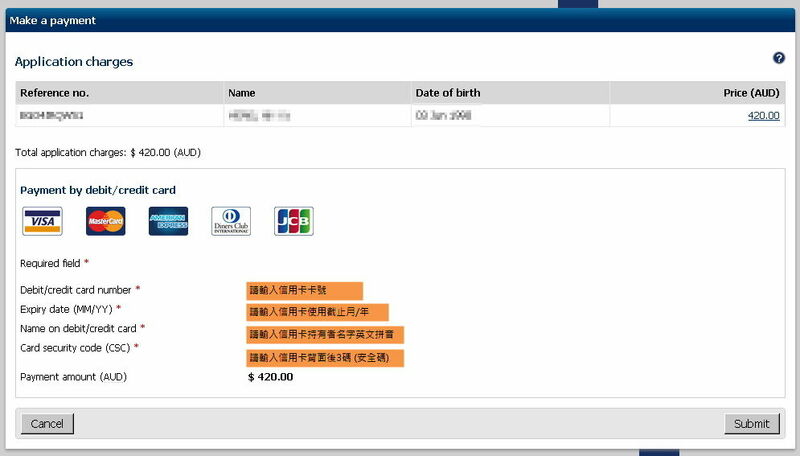 You will be able to confirm our receipt of the attachments by viewing them through ImmiAccount. Do not email attachments as this will cause delays in the processing of your application. We do not send acknowledgement advices for the receipt of attachments. See the attached "Request Detail", which provides a detailed explanation relating to the checklist item(s) listed below. The information provided below explains the requirements relating to the checklist item(s) listed above. Your application has not yet been assessed. We will contact you as soon as your application has been reviewed and if further information is required. You can use your application ID 1605601471 in ImmiAccount to search and view your application before it has been decided. - view the application status. You are required to tell us about any changes to your circumstances that may affect any answer to a question in your application form including your name, passport, contact details, address or family members as soon as possible. This obligation continues until a decision is made on your visa application, or, if you are currently outside Australia, until you have arrived in Australia and passed immigration clearance. 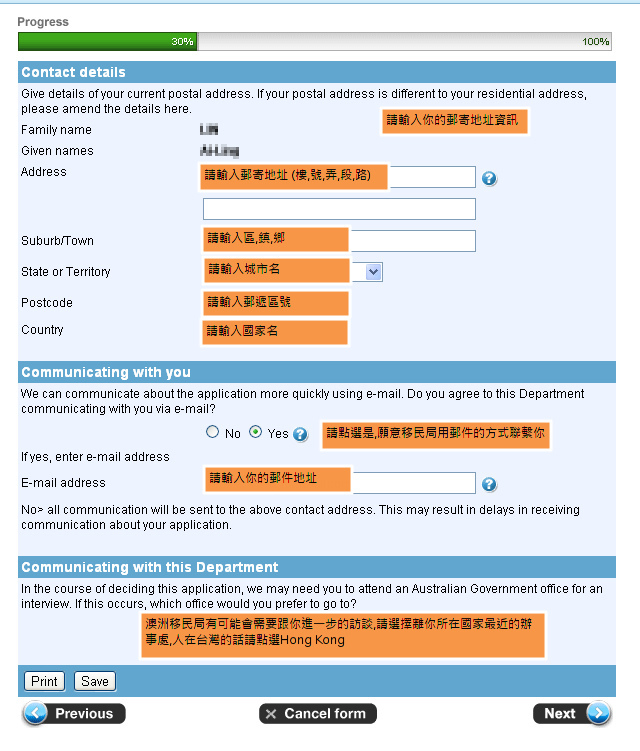 If you lodged your application online, you can use your online account to provide this information to us which is available at www.border.gov.au/Trav/Visa/Immi Failure to notify the Department of your new circumstances can have serious consequences and even if the visa you have applied for is granted, it may later be cancelled. Your application will be assessed on a case-by-case basis, and actual processing times can vary due to individual circumstances. 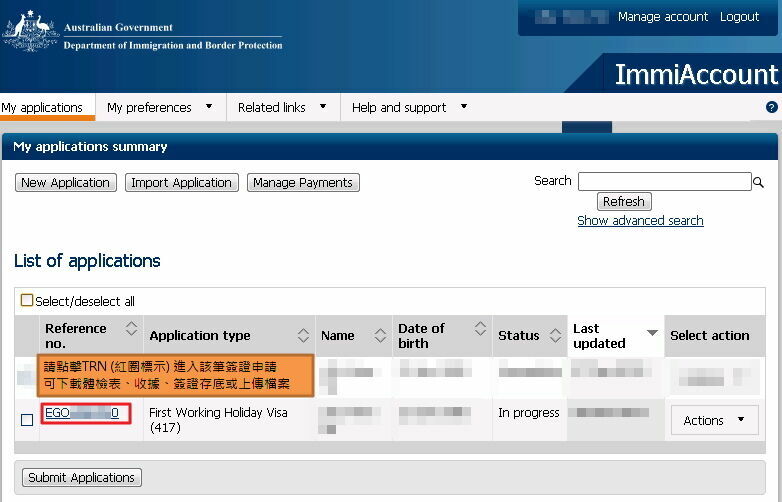 A webpage has been developed for current visa and citizenship processing times that allows you to view indicative processing times for the visa or citizenship product you applied for. 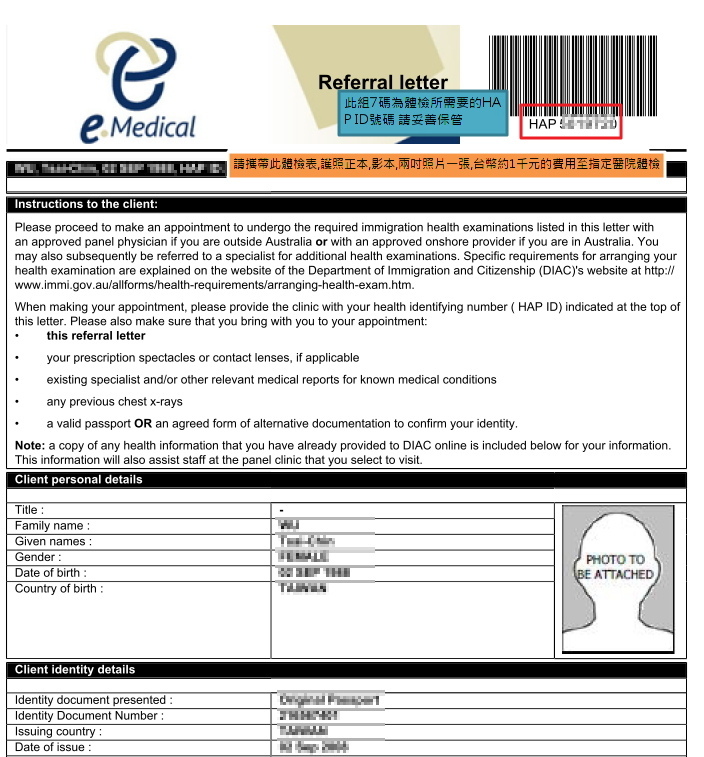 This information will be updated monthly to reflect current caseloads and processing pressures, and will be available for most visa and citizenship application types. We value your compliments, complaints and suggestions. Your compliments let us know where we are performing well and your complaints and suggestions help us improve the services we provide. The Department may make a decision on your application without requesting additional information. Youshould provide us with all the information you feel is relevant. Do not send us original documents unless we ask you for them. If you send copies of your documents, ensure that they are certified copies. If you provide us with fraudulent documents or claims, this may result in processing delays and possibly your application being refused. Please refer to the checklist of documents for this application for more information about what to attach. There are specific quality and formatting requirements when scanning documents. Refer to the help text before attaching documents. Send your response to me using the contact details provided below. application before it has been decided. ● notification of incorrect answer(s). sensitive information, is contained in our Form 1442i Privacy Notice. must be signed by each person aged 18 years and over. You are required to tell us about any changes to your circumstances as soon as possible. have arrived in Australia and passed immigration clearance. 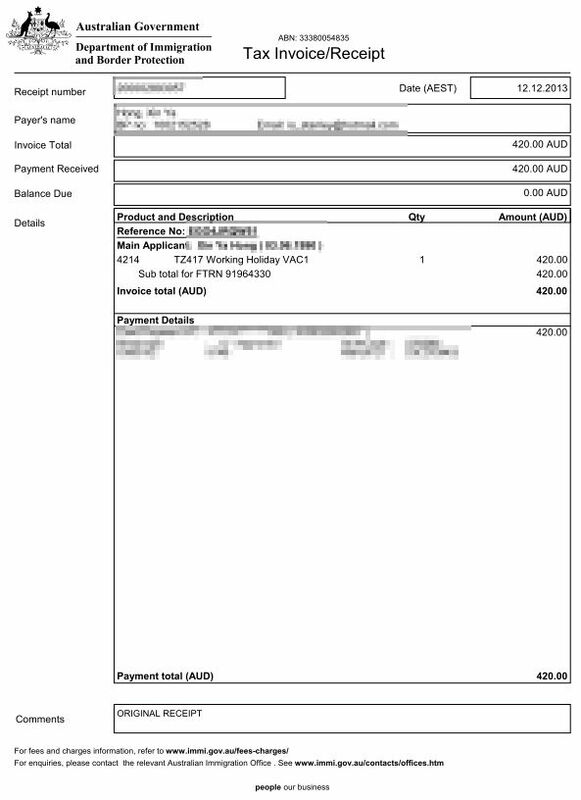 also be able to confirm our receipt of the attachments through ImmiAccount. You must provide certified copies of original documents. Do not include original documents unless we specifically ask for them. Documents not in English must be accompanied by accredited English translations. 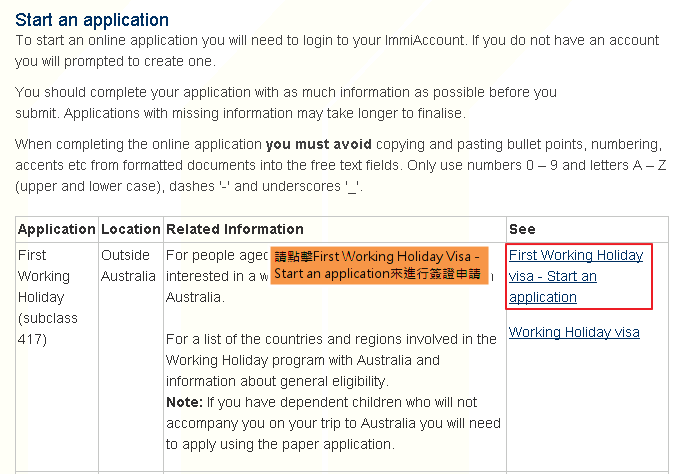 Form 1150 - Application for a Working Holiday visa (209KB PDF). a written and signed piecework agreement setting out the pay rate per piece and how it is measured. a written and signed agreement setting out any lawful deductions in pay. Form 956 - Advice by a migration agent/exempt person of providing immigration assistance (133KB PDF) (the agent or exempt person completes the form and you must sign it). Form 956a - Appointment or withdrawal of an authorised recipient (116KB PDF) (the recipient completes the form and you must sign it). Certified copies of the biographical pages of the current passports or travel documents of all people included in the application (these are the pages with the holder's photo and personal details and the issue/expiry dates). court-issued documents that verify your identity. If your name has changed: a certified copy of evidence of the name change. Two recent passport-sized photographs (45 m x 35 mm). Print the name of the person on the back of each photograph. If you have served in the armed forces of any country: certified copies of military service record or discharge papers. Evidence of sufficient funds: certified copy of a bank statement showing you have access to funds of at least AUD 5000. Processing your application More information is required to consider your visa application. The request checklist and detail attachment provides detailed descriptions of the information required for each applicant. You must respond to this request within 28 days after you are taken to have received this letter. You should provide your response in writing. As this letter was sent to you by email, you are taken to have received it at the end of the day it was transmitted. If you do not reply within the timeframe specified above your application may be decided without the Department taking any further action to obtain the requested information. If you are unable to provide this information within this time you should contact us using the contact details provided below. 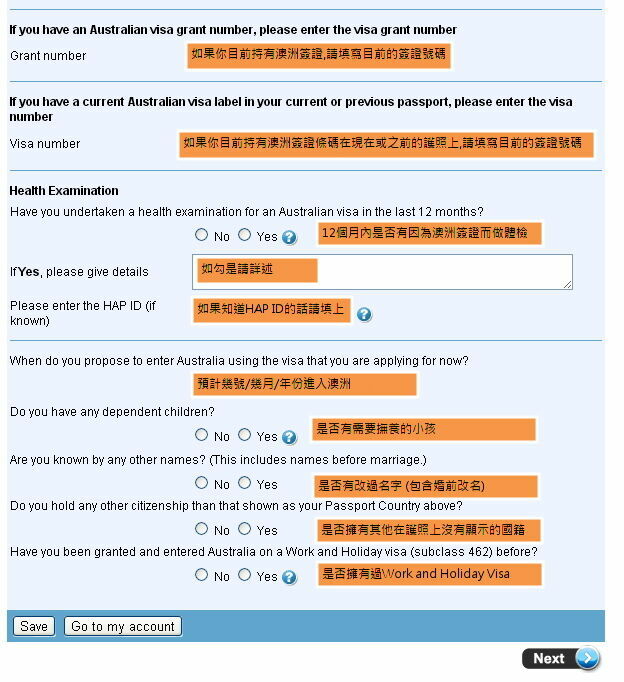 In this request we have asked you to provide information from another person or organisation about your health, your ability to satisfy public interest visa criteria (including your character and police history), your English proficiency, or your skills or qualifications. You are allowed to take longer than the period specified above to provide this information to us. You must provide us with evidence, within 28 days after you are taken to have received this letter, that you have requested the information from the other person or organisation. When the other person or organisation gives you the information you must then give it to us as soon as possible. Access your application through ImmiAccount You can use your application ID 690605851 in ImmiAccount to search and view your application before it has been decided. Your personal information is protected by law, including the Privacy Act 1988. Important information about the collection, use and disclosure of your personal information, including sensitive information, is contained in our Form 1442i Privacy Notice. 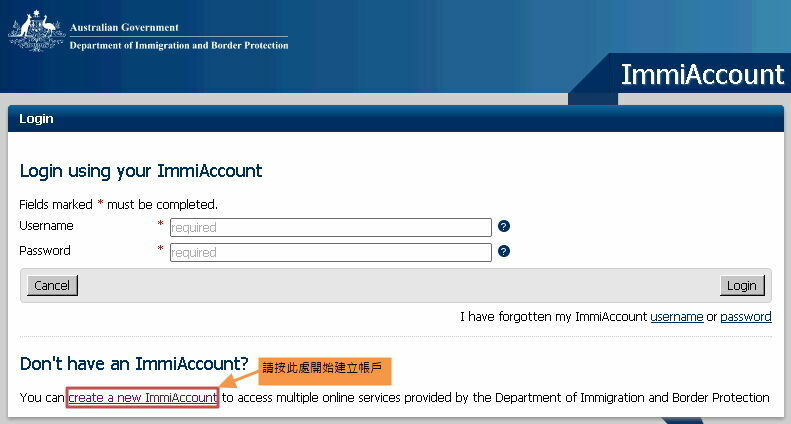 Form 1442i is available on our website at www.border.gov.au/privacy or at any Departmental office. You should become familiar with this information before providing your personal information to the Department. You can withdraw your application at any stage during processing. If any applicant wishes to withdraw their application they must advise the Department in writing. If a combined application was made this advice can include any number of applicants or applications, but must be signed by each person aged 18 years and over. You are required to tell us about any changes to your circumstances as soon as possible. These changes may affect answers to a question in your application form including your name, passport, contact details, address or family members. This obligation continues until a decision is made on your visa application, or, if you are currently outside Australia, until you have arrived in Australia and passed immigration clearance. 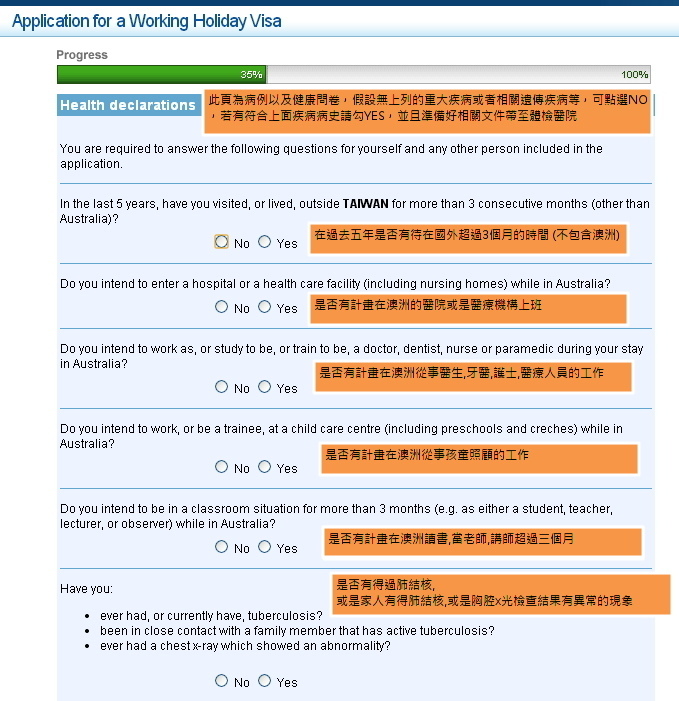 How did you find out about the working holiday visa programme? Why did you choose to travel to Australia? What do you intend to do while in Australia? Please provide a description of the activities you plan to undertake during your intended period of stay in Australia. 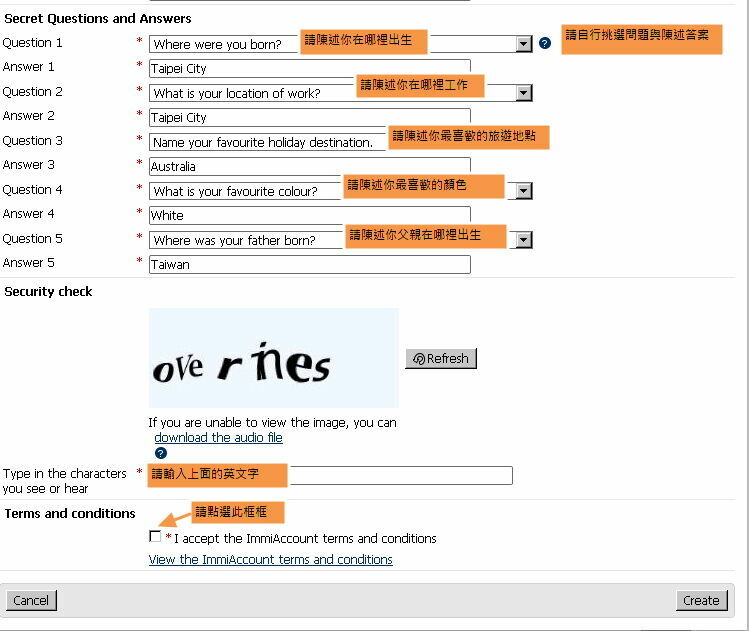 Please provide a scanned colour copy of your personal particulars/photo (bio-data) page from your current passport. This is the page of the passport which shows the name and date of birth, passport number, issue and expiry date, and photograph of the holder. Please provide your personal bank statements showing the name of the account holder, all transactions for the past three (3) months and the final balance of the accounts (name and recent date must be included on the statements). The department cannot accept bank statements which are provided as a Word or Excel document. An e-attached copy of the original document(s) in JPG or PDF format. Original documents in languages other than English should be accompanied by an English translation. 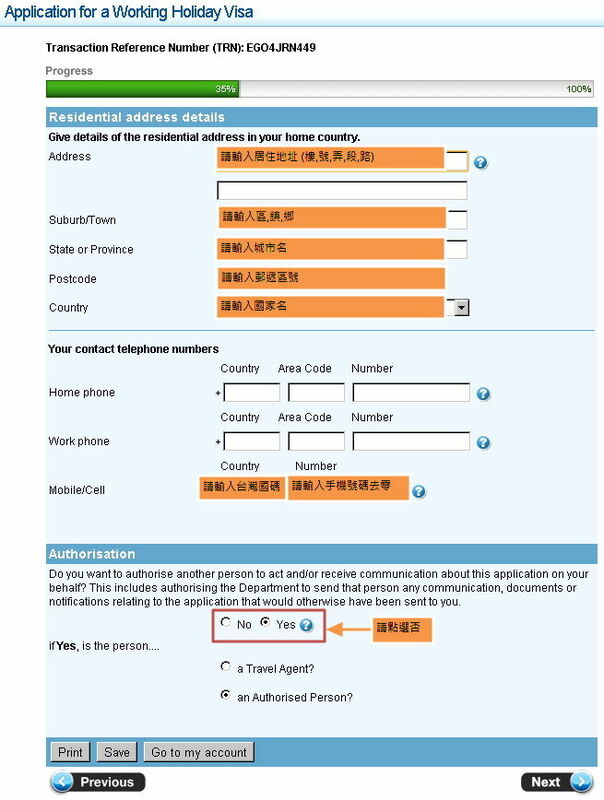 Please include the Taiwanese Police Clearance certificate.as well as police certificate(s) from each country where you have lived for a total of 12 months or more in the last 10 years as evidence that you satisfy the character requirements. These 12 months are calculated cumulatively and need not have been consecutive. The name on the police certificate(s) must match the name in your passport and must include any other names or aliases you are or have been known by. If the name on the police clearance certificate(s) received by us is different from your passport or does not list all other names you have been known by, you will be requested to obtain another police certificate(s). If you are unable to obtain a police certificate it is in your best interest to demonstrate to us, with documentary evidence where possible, that you have made a genuine attempt to obtain the relevant certificate(s). If we are satisfied that you are unable to obtain a police certificate(s) and have made a genuine attempt to do so then a waiver of this requirement may be granted. If you do not provide the police certificate(s) and I am satisfied that it is reasonable for you to provide them, your application may be refused. This application has been received by the department and will be assessed. Please ensure you have attached all required supporting documentation. Failure to do so may result in delays in processing. Please refer to the ‘Attach documents’ link on the left hand side of this page. 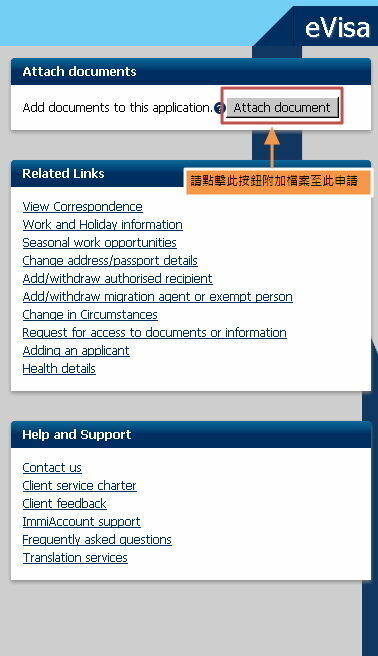 並看到下方有This application requires additional supporting documentation. Please check correspondence and attach the requested documents. By clicking on the ‘Information Provided’ button you acknowledge that the Department may proceed to make a decision on the application. Not clicking the ‘Information Provided’ button in no way lengthens or overrides the period specified in the correspondence. 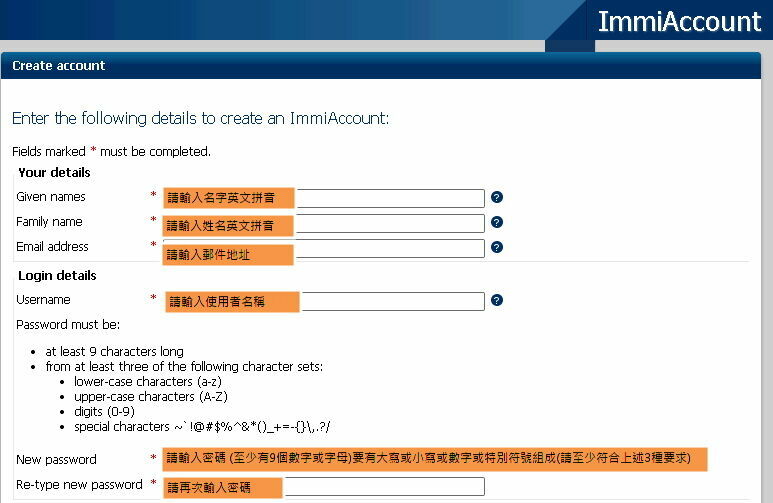 我到Message 只有看到要求體檢的信"IMMI s56 Request for More Information"
"""I confirm I have provided information as requested""""
Refer to the checklist of documents for more information about what to attach. There are specific quality and formatting requirements when scanning documents. This applicant is not required to provide any evidence at this stage based on the information provided within the application. However, the department may request further information from this applicant at a later date.